This week on The Young and the Restless, Victor Newman found an eye witness that confirmed Adam Newman is indeed alive. It really doesn’t come as much of a shock that the key character is still alive, does anyone really die for good on soap operas? But, Y&R fans are still buzzing about the revelation. If Adam Newman is still alive, who will play his character? Now, it’s time to bring Adam Newman back, and Jill Farren Phelps has worked her way into a corner. She has to bring back the character Adam Newman, but regardless of who she casts in the role, she is going to receive a ton of backlash from disgruntled Muhney fans. So, who do The Young and the Restless fans want to see take on the role of Adam Newman? Well, the popular opinion is, nobody, they want Muhney back come hell or high water. But, if they really, really had to choose, Y&R fans would like to see One Live To Live alum Trevor St. John fill Michael Muhney’s shoes. Trevor St. John has been acting for years, but he is most known for his role as Victor Lord Jr. on ABC’s soap One Life To Live, where he appeared in over 100 episodes stretching from 2006-2013. Physically speaking, St. John could pass as Muhney’s brother, they share an uncanny resemblance. And, as far as an acting presence goes, he could easily fill Muhney’s shoes as Adam Newman. 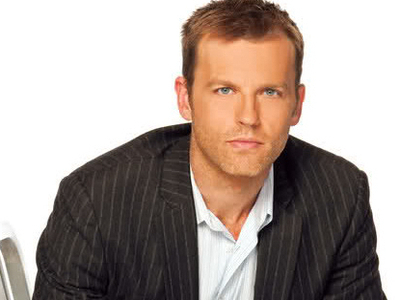 Would you like to see Trevor St. John replace Michael Muhney as Adam Newman on The Young and the Restless? Or, do you think Jill Farren Phelps will ignore Y&R fans requests once again, and choose a completely random actor that looks nothing like the previous character (ie: the David Tom as Billy Abbott fiasco)? Let us know in the comment section below if you think St. John would make a good Adam Newman.